SINGLE SPEED CONVERTER RELIC | . :: pitstop-bikes ::. 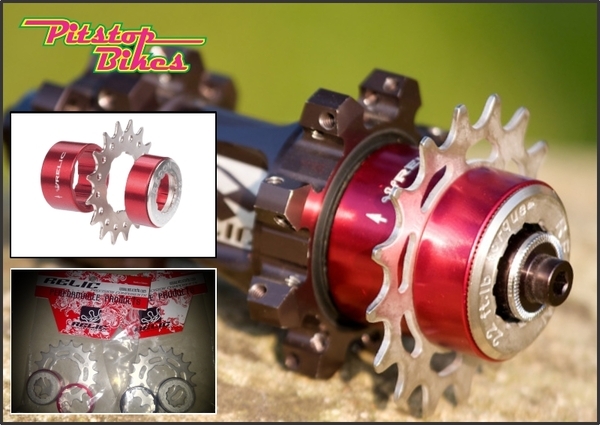 # CONVERTS AN 8/ 9/10 SPEED HUB TO A SINGLE SPEED. # INCLUDES: TWO SPACERS, 18T COG, AND LOCKING RING. This entry was posted on 02/07/2013, 7:19 am and is filed under Relic, Sprocket. You can follow any responses to this entry through RSS 2.0. You can leave a response, or trackback from your own site.